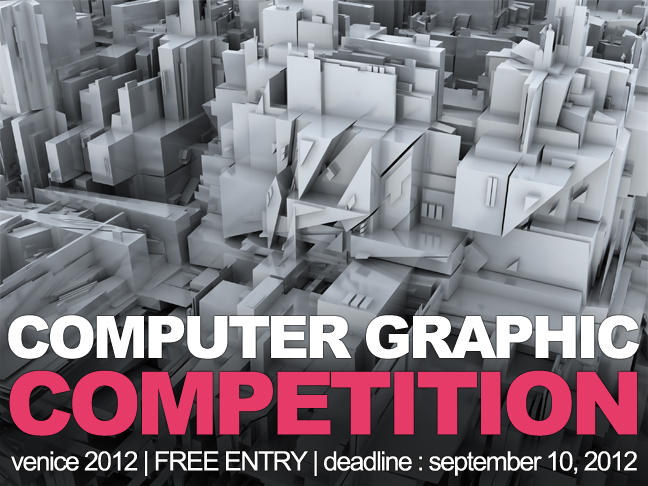 Computer Graphic Competition in Venice – Free entry! Computer Graphic Competition in Venice – FREE ENTRY!!! The number of works with which you can participate is maximum three. All video works must be on DVD (PAL or NTSC), no matter what the original source medium. The maximum length of videos should be 20 minutes.